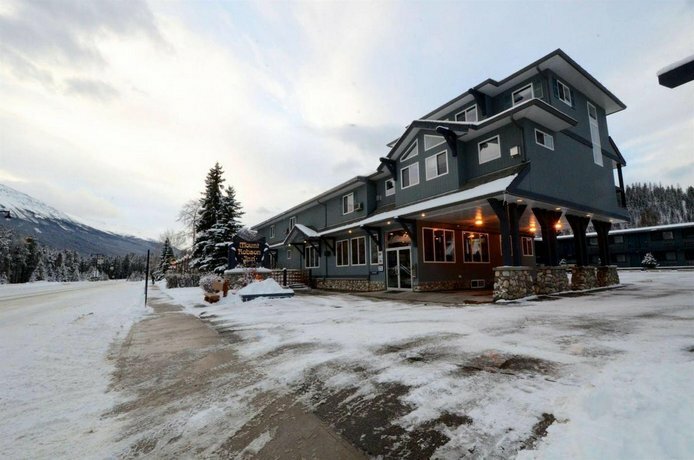 This hotel is located in the Jasper town site about an 8-minute walk from nightlife, shopping and restaurants, making it ideal for guests who prefer to stay within walking distance of amenities while avoiding the noisier downtown district. 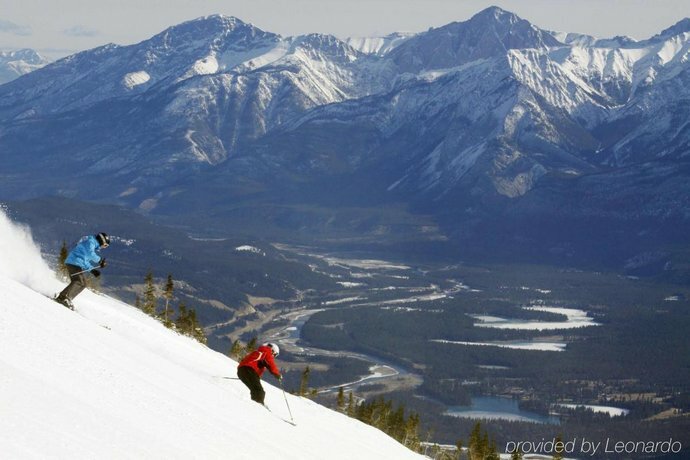 Skiers looking to access Marmot Basin Ski Resort will appreciate that this hotel is located on the resort's ski shuttle route. The shuttle, which stops right in front of the hotel, costs about $7 each way and takes about 30 minutes. All 80 air-conditioned units are pet free and smoke free. 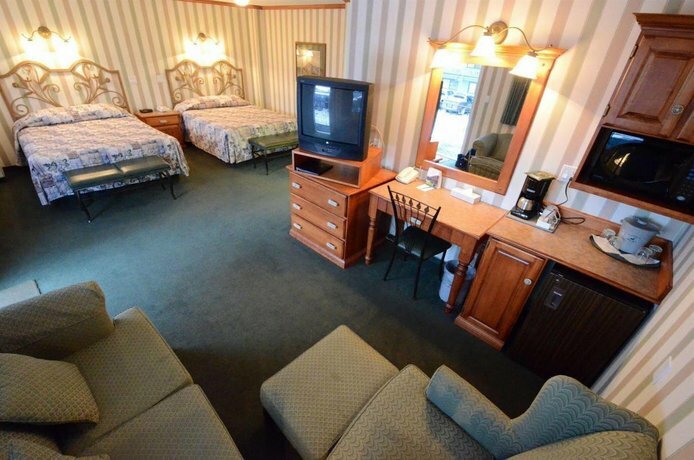 All rooms include free Wi-Fi, coffee and tea station, a table for two, a microwave, a mini-fridge, a TV, an iron and an ironing board and a hair dryer. 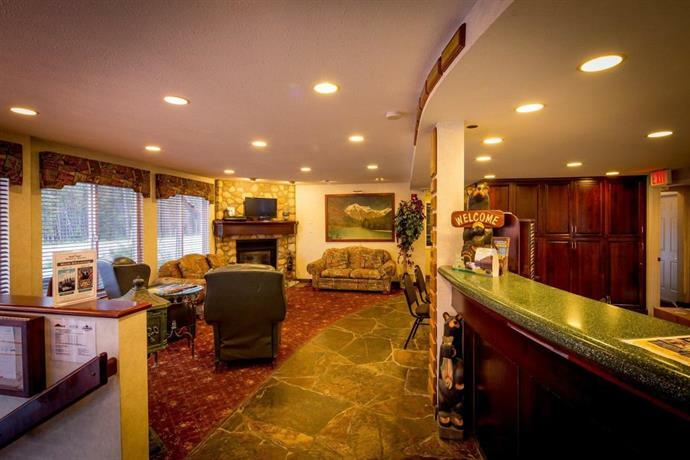 Suites may offer private bedrooms, over-sized TVs, bunk beds, a PlayStation 3 console with free games, a mountain view, a wet bar, an extra bathroom, a writing desk, a 2-person jacuzzi, a fireplace, seating area and sofabed. 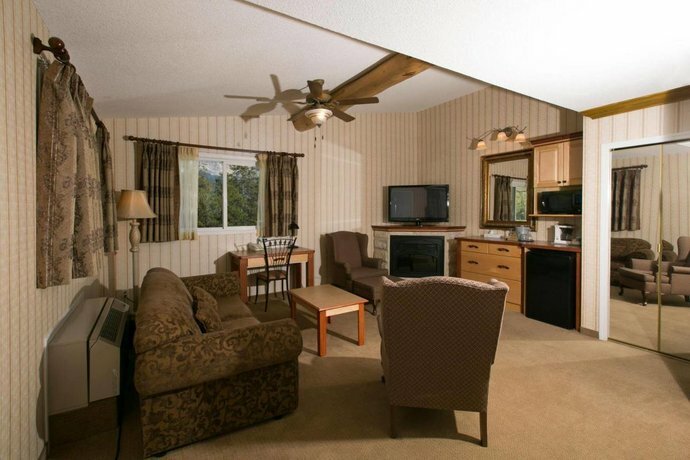 This hotel is family-friendly offering family suites with 3 double beds, accommodating up to 6 people. 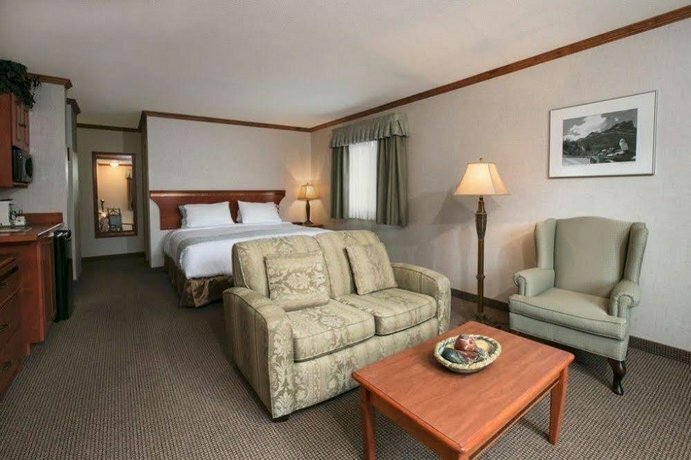 Most rooms offer full bathrooms with tub and shower and special family amenities are available including bottle warmers, high chairs, night lights, plug covers, pack and play, blankets and strollers. Kettles, if not included in the room already, are available on request at the time of booking. 3-wheel jogging strollers are also available for $15 per day. This hotel is also motorcycle-friendly. 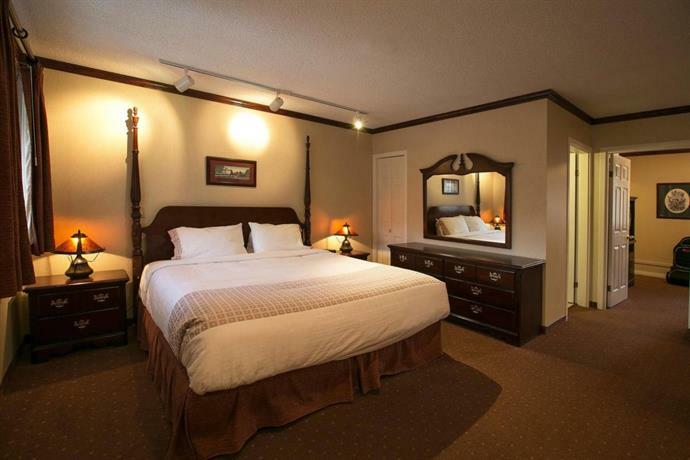 Please check the hotel's website for offers and amenities available. Free parking is available on site including cold weather plug-ins. 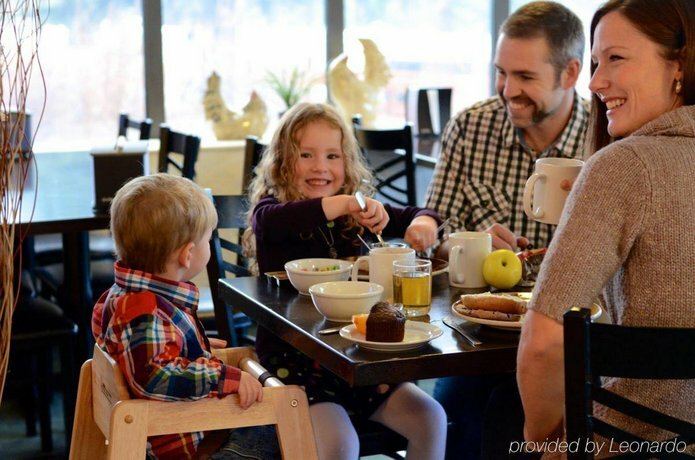 A free breakfast is served daily from 7 am - 10 am and includes a variety of hot and cold options. 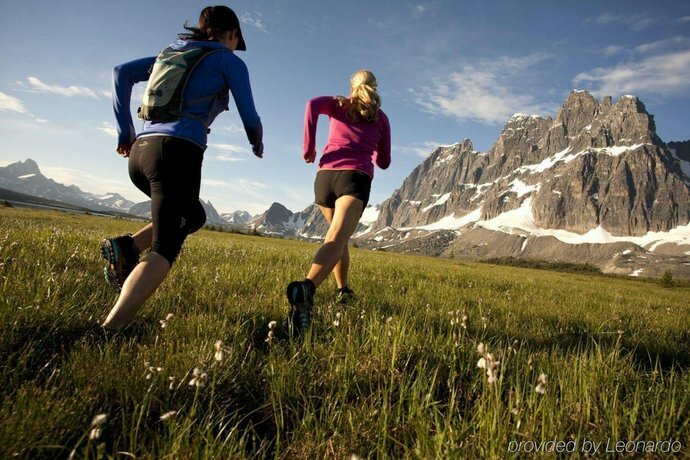 Other on-site amenities include ski and bike storage, coin-operated laundry machines, ice/vending machines, and 2 all-season outdoor hot tubs. There is no elevator to the second floor. 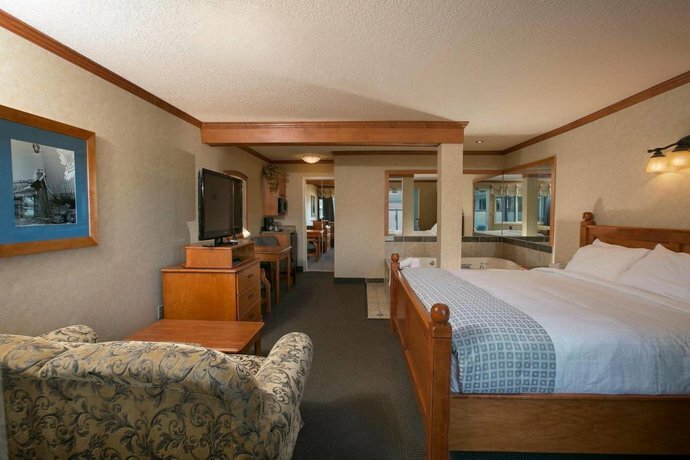 This hotel was well reviewed by the majority of its recent guests in reviews read for this report. 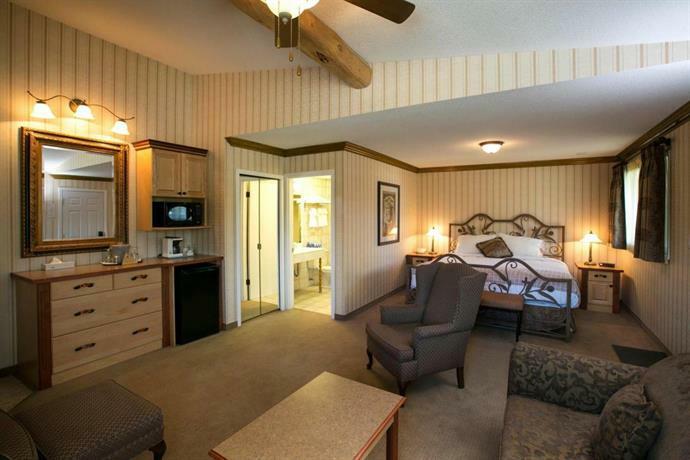 Many guests described their rooms as very clean, renovated and well-appointed. 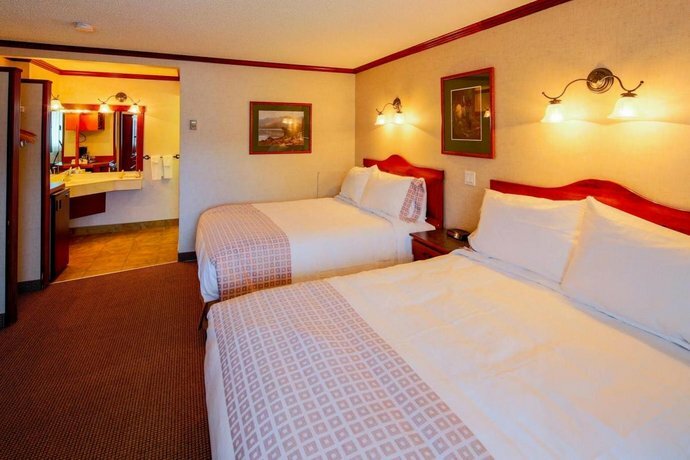 A few guests mentioned that their beds were comfortable with lovely bed linens. 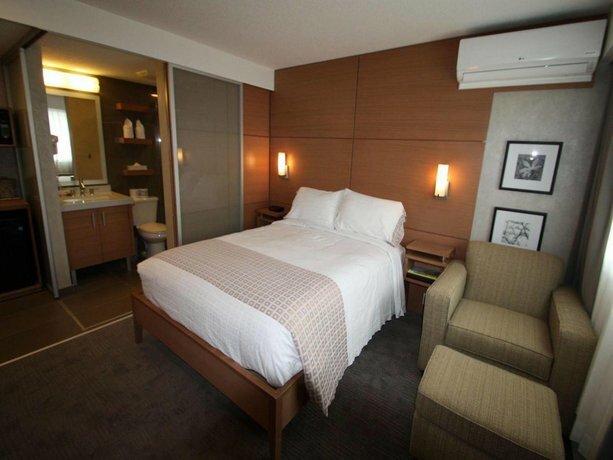 The in-room jacuzzis, microwaves and mini-fridges were all mentioned as value-added features. Several guests praised the food at the free breakfast and said it was delicious and plentiful. 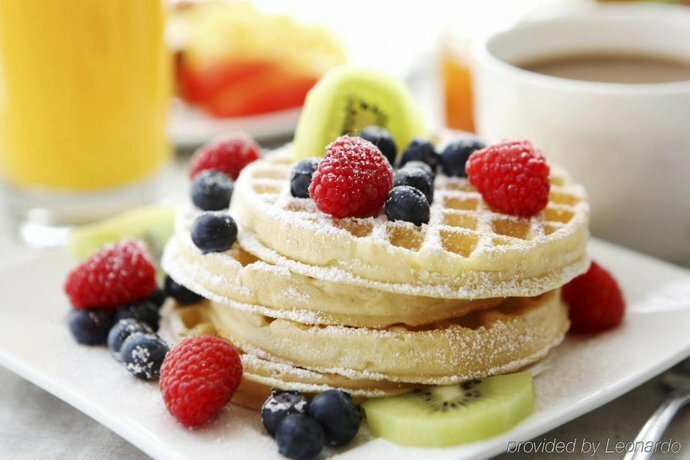 Guests enjoyed the variety at the buffet which include hard cooked eggs, self-made waffles and pancakes. A few guests described the dining area as spacious. 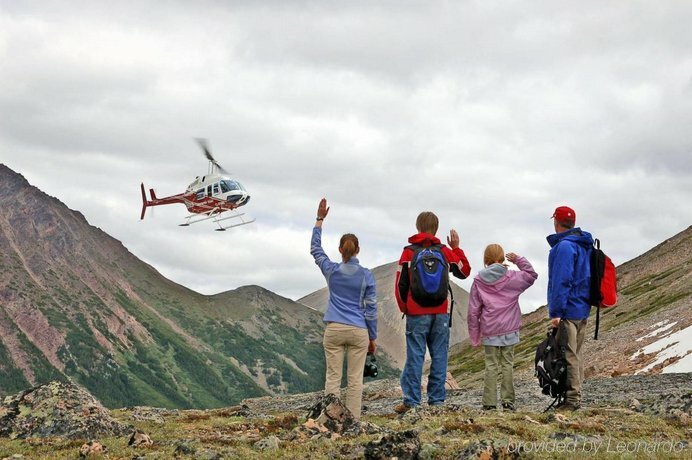 Many reviewers found the location convenient for accessing shopping, restaurants, and hiking trail entrances in the Jasper town and area near the hotel. 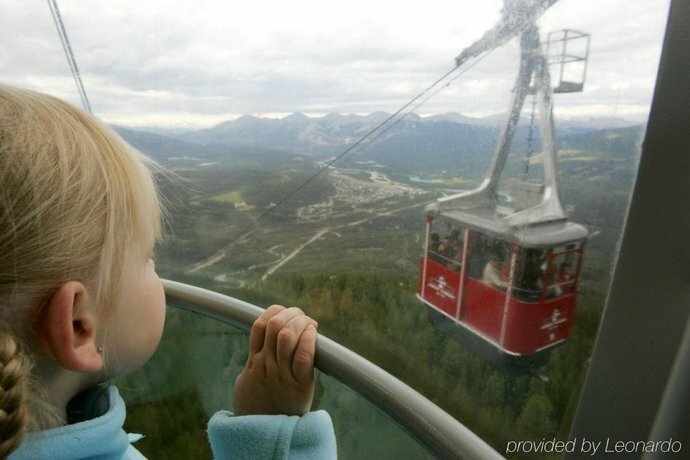 The ski shuttle to Marmot Basin ski hill, that picked up at the hotel, was an added convenience to guests. 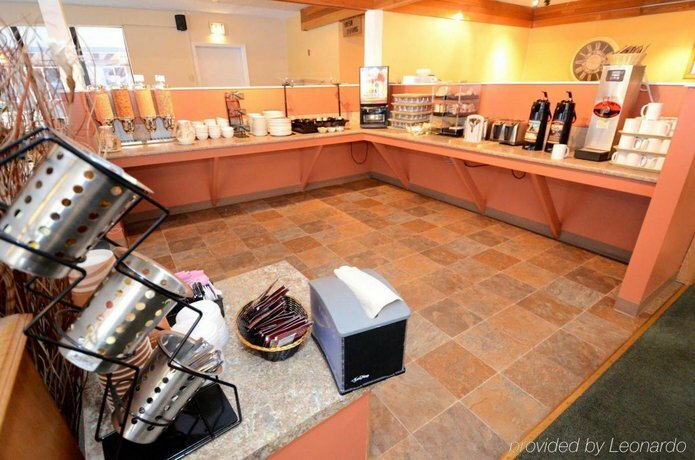 The staff were complimented by guests for being helpful, welcoming and friendly. Some felt the hotel was priced reasonably for what it offered and there were returning guests as well as some who planned to return. 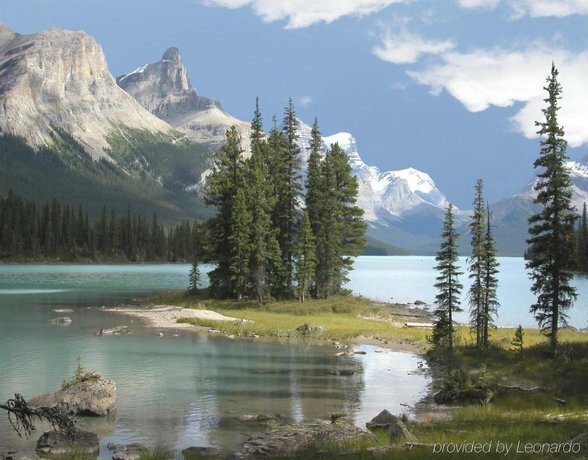 There were a few complaints but very little that amounted to a common concern among guests, as most complaints seemed to be isolated in nature. 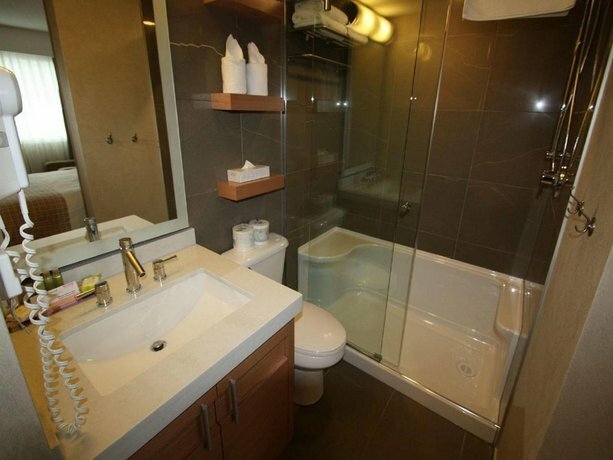 The only issues that were repeated among guests were regarding noise disturbances and the frosted bathroom doors. A few guests were disturbed by noise. Issues varied between partiers for one guest, passers by for another, a loud bathroom fan, trains and noisy plumbing. 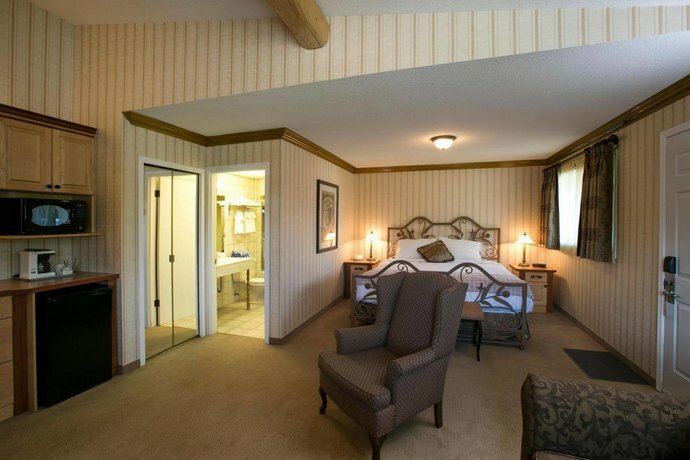 A couple of guests complained that the new frosted sliding doors for the bathrooms in the guestrooms did not provide full privacy for those using the facilities when other guests were in the room. 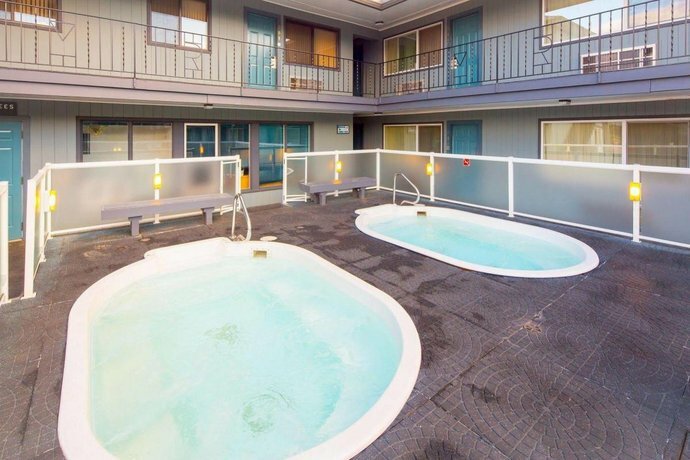 Expedia.ca gave this hotel an average score of 3.8 out of 5, with 89% of 794 guests recommending the property. 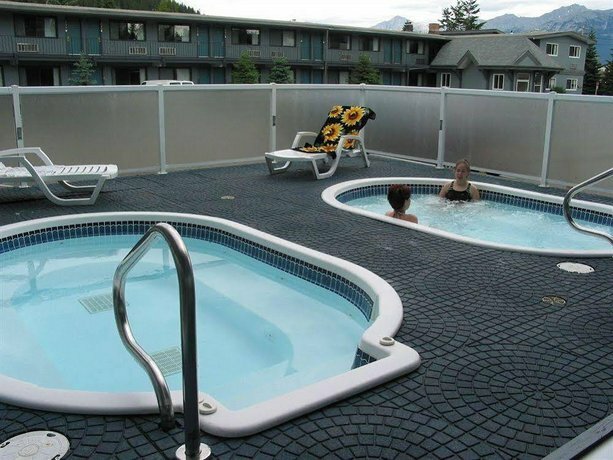 TripAdvisor.ca ranked this property #4 out of 17 properties in Jasper, with a guest rating of 4 out of 5, from 567 reviews. 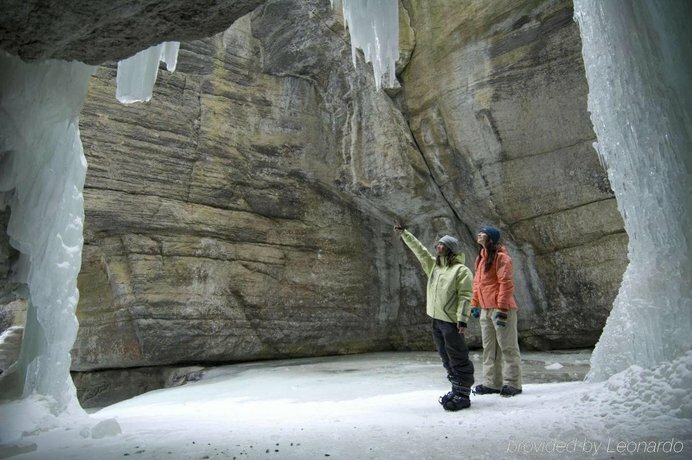 Booking.com gave this property an average score of 7.9 out of 10, based on 411 guest reviews. 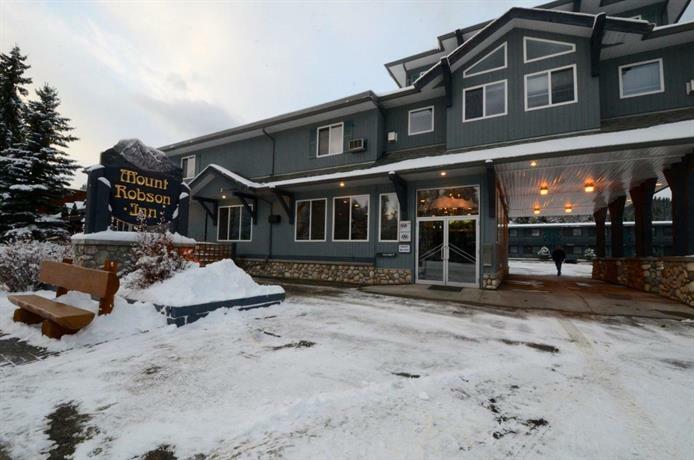 The average guest rating for Mount Robson Inn is 7.9 out of 10 based on 2221 reviews from past guests. 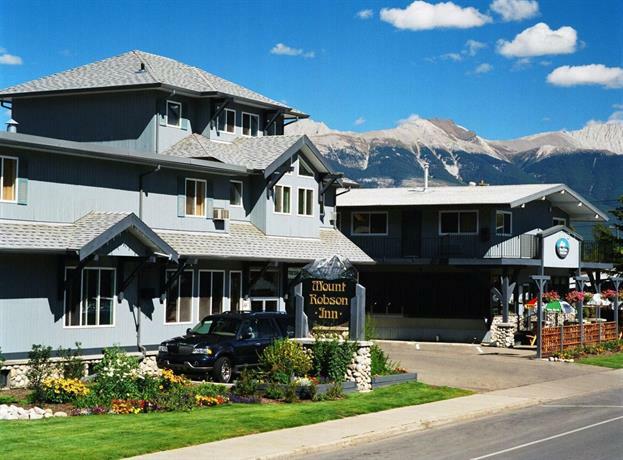 This average guest rating ranks Mount Robson Inn at #6 out of 20 hotels in Jasper.